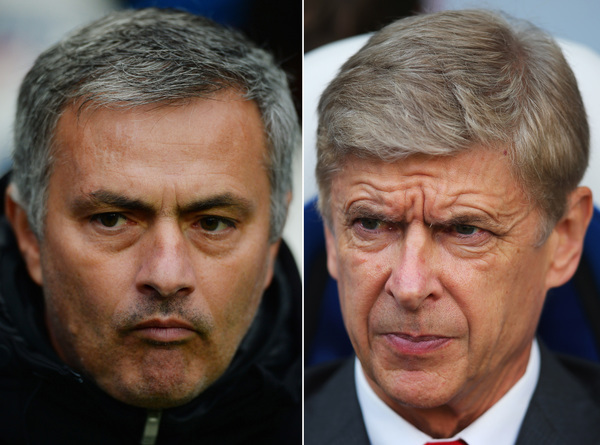 Hello and welcome to live coverage of today's seven Premier League matches. Chelsea manager Jose Mourinho is expected to offer a handshake to his Arsenal counterpart Arsene Wenger ahead of today's huge Premier League clash between the two sides at Stamford Bridge. The Portuguese boss has so far refused to relent in his feud with a man who he once branded a 'specialist in failure'. But today is the day, according to reports, that touchline scuffles between the cantankerous rivals becomes a thing of the past. We'll believe it when we see it. 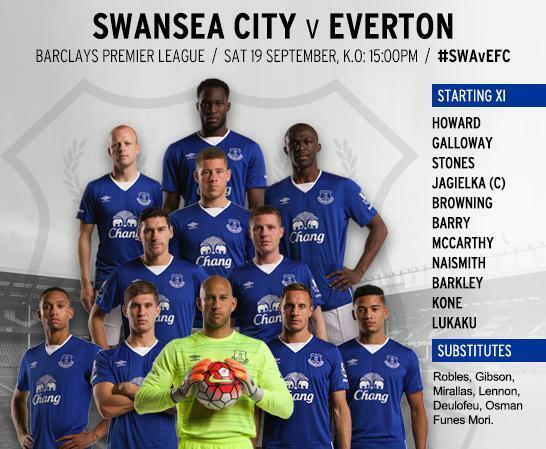 On the pitch, the Blues are in desperate need of a victory as they languish above the relegation zone. The Gunners, meanwhile, have failed to live up to their billing as true title contenders but could go up to second with three points. Danny Higginbotham has used his column in The Independent to heap praise onto the shoulders of Leicester City manager Claudio Ranieri. The Italian boss has persisted with 4-4-2, long considered to be a relic of a bygone era, to propel the plucky Foxes up to second in the Premier League table. Leicester face Stoke today and, if results go their way, they could go within one point of runaway leaders Manchester City. Claudio Ranieri is not bothered in the slightest about possession. In the win against Sunderland, Leicester had 44 per cent possession, in the win against West Ham 30 per cent, Tottenham (draw) 35 per cent, Bournemouth (draw) 44 per cent and Aston Villa (win) 49 per cent. That’s a minority of the possession in every one of their games. 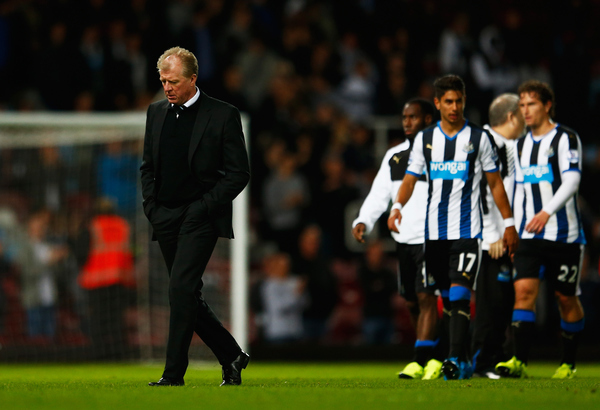 Steve McClaren used the term “car crash” yesterday, writes Martin Hardy for The Independent. It provoked an intake of breath, whiplash almost, given the usually strategic control from those in charge at St James’ Park. Newcastle are bottom of the table after spending £50m in the summer. There was, of course, a context to the unusually evocative description from McClaren, but even that was muddled slightly, between the defeat at West Ham on Monday which sent Newcastle to the foot of the Premier League, and the situation he inherited. The Toon face Watford at St James' Park today. “In the process of a new team, and new players in the Premier League, and in trying to change things around in a football club, during that process it is a little bit like a car crash,” he said. “You know it is going to happen, and you can’t do anything. You just wait for it to happen." In financial results which are likely to infuriate rent-a-mouth Arsenal supporter Piers Morgan, the North London's parent company has posted a profit of £24.7million and a cash reserve of £193.1m in its latest set of published figures. The results, covering the year ended May 31 2015, put the group's total turnover at £344.5m, up from £301.9m in 2014. The increase in profit before tax from £4.7m was helped by both a strong growth in commercial activity, including a lucrative new kit deal with Puma as well as player sales of £28.9m and property development. So why aren't they investing in their playing squad? Lose to Chelsea today and those questions will increase a decibel or two. Why there be any more of this at full-time this afternoon? Jose Mourinho has dropped captain John Terry to the Chelsea bench, presumably to counteract the pace of Theo Walcott, ahead of the visit of Arsenal. Gary Cahill comes in for the former England skipper behind a midfield including Nemanja Matic, Cesc Fabregas, Pedro, Oscar and Eden Hazard while Diego Costa plays up front. 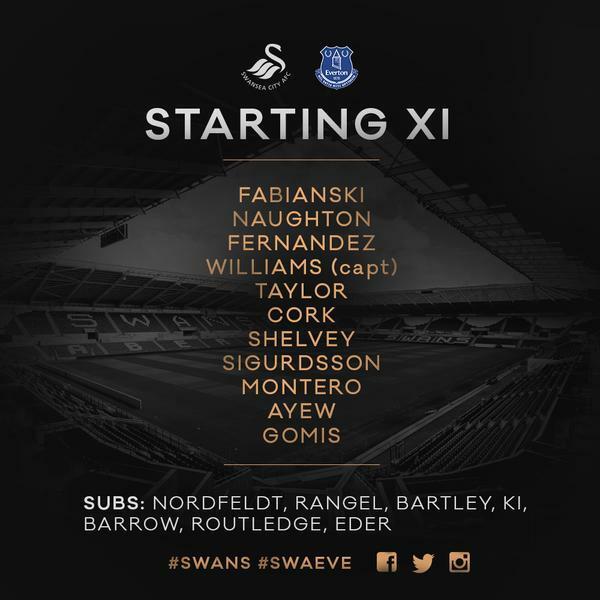 The Gunners, meanwhile, have former Blues goalkeeper Petr Cech in goal while Aaron Ramsey, Mesut Ozil and Alexis Sanchez sit behind Walcott in attack. Subs: Blackman, Terry, Mikel, Ramires, Loftus-Cheek, Falcao and Remy. Arsenal: Cech, Bellerin, Gabriel, Koscielny, Monreal, Coquelin, Cazorla, Ramsey, Ozil, Alexis, Walcott. Subs: Ospina, Debuchy, Gibbs, Chambers, Arteta, Oxlade-Chamberlain, Giroud. 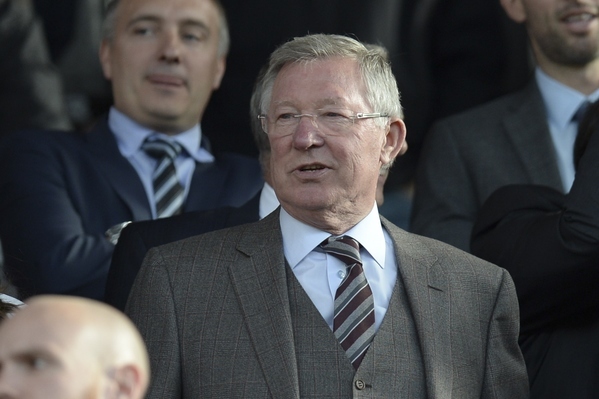 Former Manchester United manager Sir Alex Ferguson has revealed he would have stayed on - but for the death of his sister-in-law. 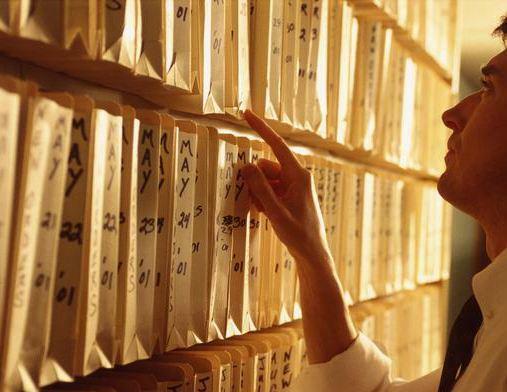 The most successful domestic manager of all time told the Daily Telegraph: "I saw she was watching television one night, and she looked up at the ceiling. I knew she was isolated. Her and Bridget were twins, you know?" Lady Cathy, who convinced her husband not to retire in 2002 as he had intended, did not object to the decision this time round. If Bridget hadn't died in October 2012, Sir Alex revealed: "I definitely would have carried on". I knew she wanted me to do it. The two managers are in the building as the world's media lock their cameras on the touchline waiting to see how Jose Mourinho and Arsene Wenger greet each other. Perhaps they have a flash dance lined up? 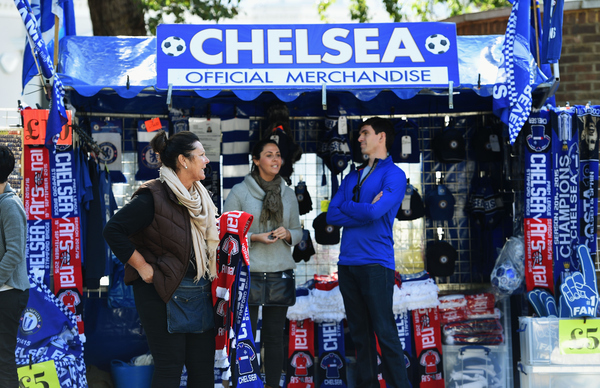 It seems unlikely that we'll see scenes like this (above) as the Chelsea boss hinted he may move to calm the friction down, but if Arsenal win comfortably it remains to be seen how the Portuguese will react. Arsenal manager Arsene Wengere insists he is not concerned about the ongoing off-field drama between himself and Jose Mourinho. He said: "No special relationship (between any manager) is my worry, all I worry about is our performance tomorrow," said Wenger at a press conference. I respect everybody in the job and focus on what I love and that is football. All the rest honestly does not concern me much. 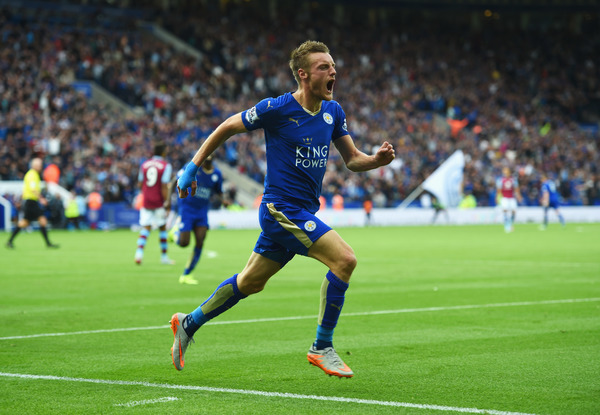 "Realistically people come to watch football and all the rest is a little bit secondary. What is important is the quality of what we will see tomorrow morning at 12.45 and you want people to focus on that." Arsene Wenger has refused to be drawn on the escalating 'handshake gate' while speaking to BT Sport ahead of kick-off at Stamford Bridge. While Jose Mourinho has insisted it 'is a question for him, not me', his Arsenal counterpart is unwilling to discuss it with the media. "That's not my main worry." 0 mins - Chelsea 0 Arsenal 0: Following the least genuine handshake ever witnessed, Arsenal get the action under way at Stamford Bridge. 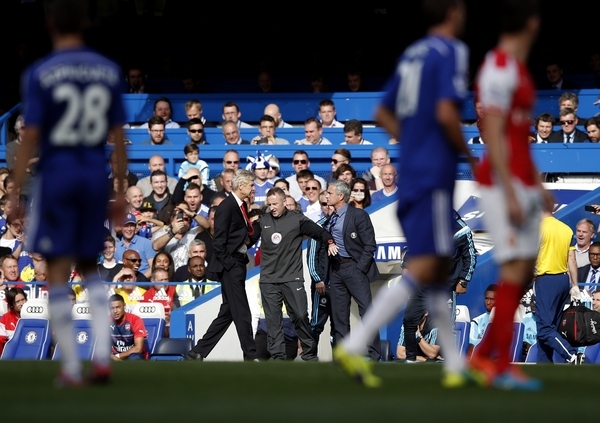 Arsene Wenger slumps into his chair, clearly aggrieved at the cheek of Jose Mourinho for even asking for a handshake, but the Frenchman obliged. 2 mins - Chelsea 0 Arsenal 0: It's been a frantic start from the visitors as Aaron Ramsey skips past Cesar Azpilicueta and wins his side a corner. Francis Coquelin then fires a fierce drive towards Petr Cech's goal but Chelsea eventually clear. 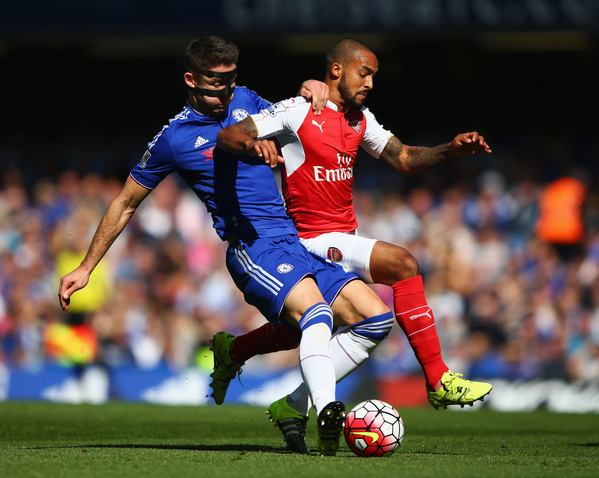 4 mins - Chelsea 0 Arsenal 0: Theo Walcott's pace is clearly the most important weapon at Arsene Wenger's disposal this afternoon. The England forward dances past a flapping Asmir Begovic but, luckily for the hosts, he runs it too far and it goes out for a goal-kick for Chelsea. 7 mins - Chelsea 0 Arsenal 0: Branislav Ivanovic hauls Alexis Sanchez to the floor on the corner of the Blues' penalty area but Mesut Ozil squanders the resultant free-kick. 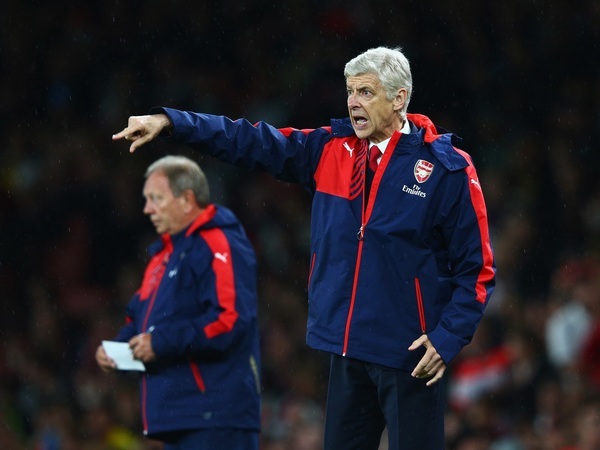 Arsenal showing signs of promise but, as usual, are hesitant to pull the trigger. 12 mins - Chelsea 0 Arsenal 0: Theo Walcott and Alexis Sanchez have taken it in turns to petrify the Chelsea defender with the former galloping full-tilt at Cesar Azpilicueta and Gary Cahill but the Blues pair join forces to dispossess him at the eleventh hour. Two minutes previously, the England forward become embroiled in an intriguing duel with Diego Costa. 17 mins - Chelsea 0 Arsenal 0: Eden Hazard and Oscar unite with beautiful symmetry before the Belgian attempts to chink a cross through to Diego Costa but Laurent Koscielny was on hand to head clear - just in time. 21 mins - Chelsea 0 Arsenal 0: There is alarm on the Gunners' bench as Francis Coquelin goes down under a heavy challenge by Nemanja Matic and signals that he would like to be subbed. 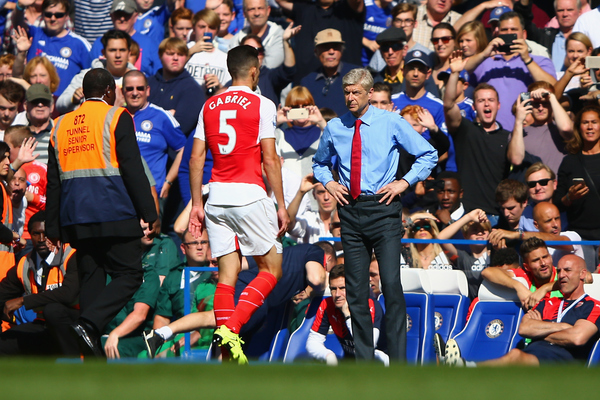 Mikel Arteta is an option for Arsene Wenger, but is he up to the task? 22 mins - Chelsea 0 Arsenal 0: It would appear that Francis Coquelin is going to soldier on for the time being as the Blues start to turn the screw on their visitors. They need the Frenchman to recover quickly. Jose Mourinho orders his men to take advantage. 26 mins - Chelsea 0 Arsenal 0: The match has become a decidedly scrappy affair as both sides try to calm things down after a frantic start. 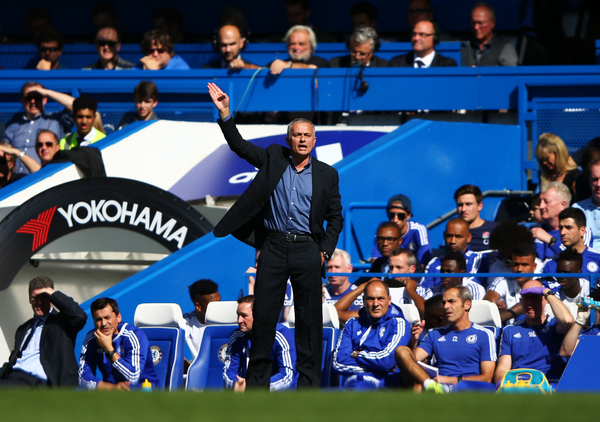 Chelsea have enjoyed 72% possession in the last five minutes but have done very little with it. 29 mins - Chelsea 0 Arsenal 0: Theo Walcott finds an inch of room behind the tight Chelsea backline but, following a neat pass by Alexis Sanchez, can't get enough power of his effort. Asmir Begovic, as a result, can collect easily and another moves falls down. 31 mins - Chelsea 0 Arsenal 0: Cesc Fabregas flouts a beautifully weighted diagonal ball to Pedro but the Spaniard, under pressure by Nacho Monreal, cannot apply the finish from two yards out. A massive opportunity for the hosts. Hands all over each other like two antagonistic lovers. 33 mins - Chelsea 0 Arsenal 0: There is outrage in the Stamford Bridge stands as Eden Hazard, in the penalty area, is bundled to the floor by Gabriel but referee Mike Dean is unmoved. 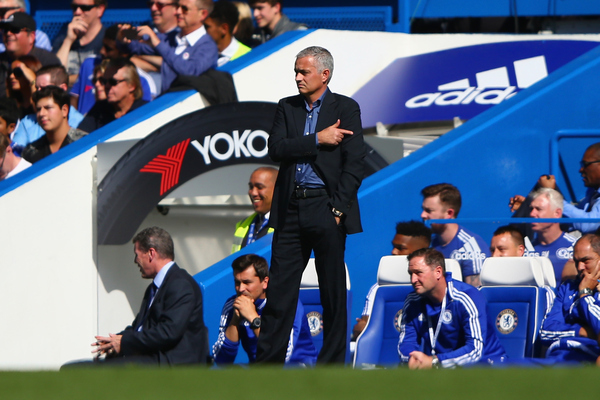 Jose Mourinho can't help but chuckle to himself in the dugout. 37 mins - Chelsea 0 Arsenal 0: Opportunities are few and far between and the Blues' response in to try their luck from distance. 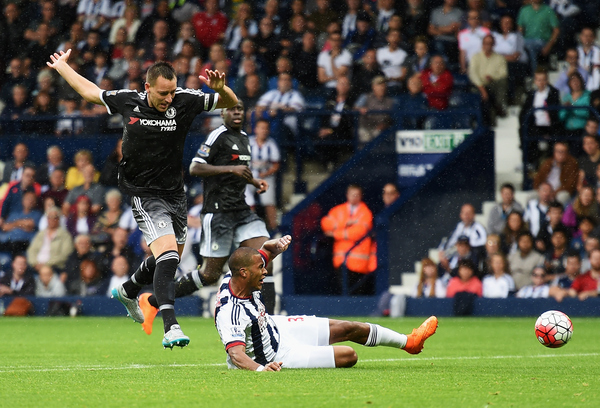 First Kurt Zouma, from all of 45 yards, smashes it into the stands before Pedro, from much closer, does the same. 41 mins - Chelsea 0 Arsenal 0: Branislav Ivanovic surges forwards but loses the ball, leaving Mesut Ozil with room to dominate the right flank. The German's searching cross eventually reaches Aaron Ramsey but he doesn't pull the trigger in time. 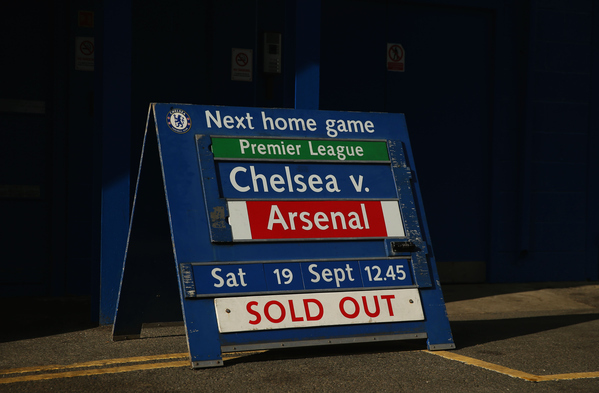 44 mins - Chelsea 0 Arsenal 0: The red mist has descended. Diego Costa and Gabriel takes it in turns to lash out at each other's faces, with the former being the most guilty party, but luckily for both parties Mike Dean appeared to miss it. Both are booked, initially. RED CARD - GABRIEL, ARSENAL. 45 mins: Arsene Wenger shakes his head as Gabriel trudges off the pitch after Mike Dean adds a red card to the Brazilian's booking. The Arsenal defender appeared to scrape his studs along Diego Costa's shin, as the pair argued over their previous altercation, right in the referee's eye-line. 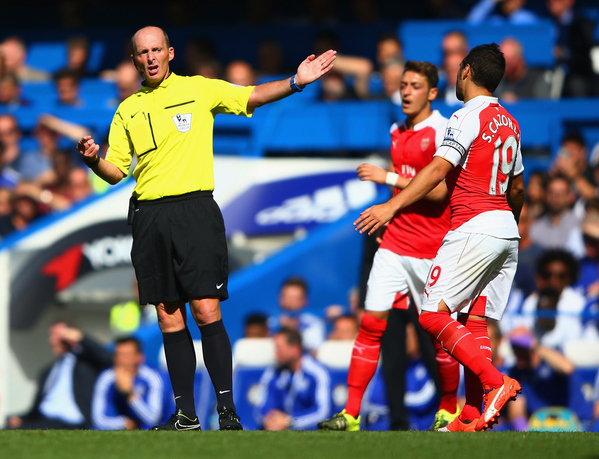 It's never dull between Chelsea and Arsenal but should Costa have been dismissed too? HT: Chelsea 0 Arsenal 0. A half of drama and sub plots comes to an end, fittingly, under a cloud of controversy as Arsene Wenger stares out referee Mike Dean as he makes his way down the tunnel. Gabriel, who was the victim of a 'slap' by Diego Costa, was dismissed for appeared to kick out at the Spaniard on the brink of the half-time whistle. 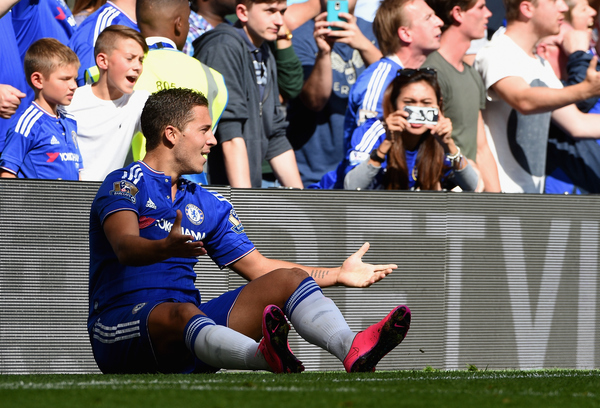 Eden Hazard also had a convincing appeal for a penalty turned down. Not much football to get excited about. 45 mins - Chelsea 0 Arsenal 0: We're back under way at Stamford Bridge and hopefully a less eventful, but more entertaining, second half awaits us. 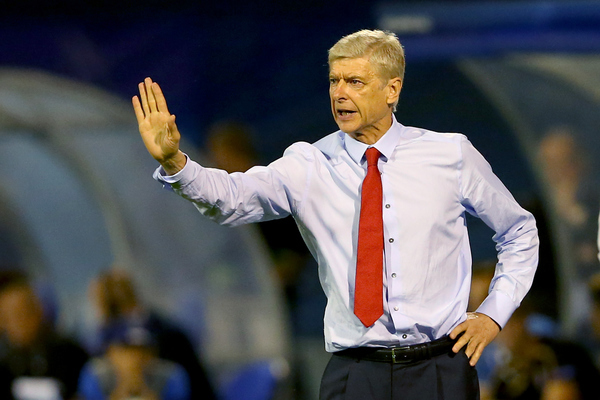 Ten-man Arsenal's pre-match aspirations may have been altered somewhat. 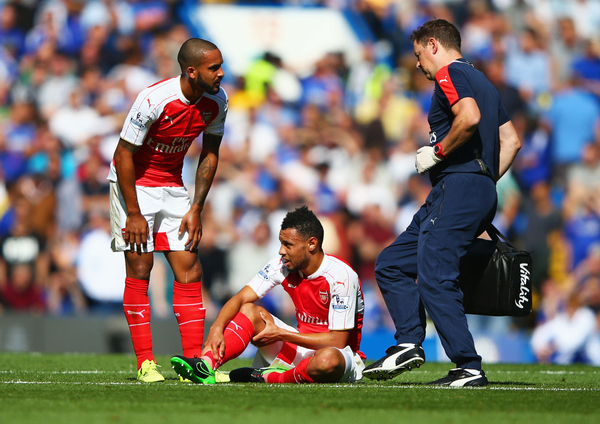 Calum Chambers comes on for Francis Coquelin, who was walking about gingerly. 50 mins - Chelsea 0 Arsenal 0: Diego Costa sprints down the right flank, forcing Nacho Monreal to chase him, before the ball eventually goes out for a goal kick - in front of the furious Arsenal supporters. We'll let you fill in the blanks about what was said. GOOAALL!! 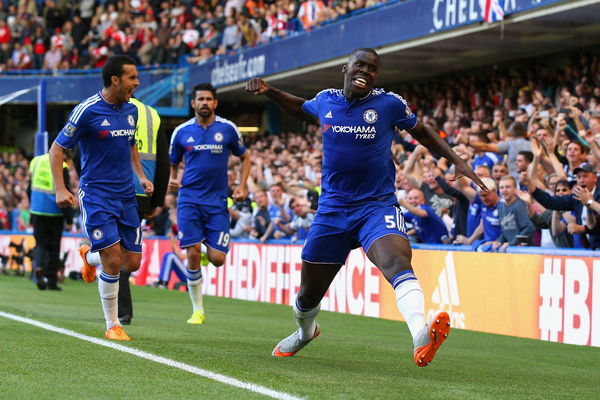 Chelsea 1 Arsenal 0 - Kurt Zouma. 52 mins: Cesc Fabgreas weights a trademark free-kick onto the head of Kurt Zouma and the defender, preferred over John Terry, nods it past Petr Cech to put Chelsea ahead! Arsenal, without Gabriel, have it all to do now. The Gunners' faithful have been silenced. 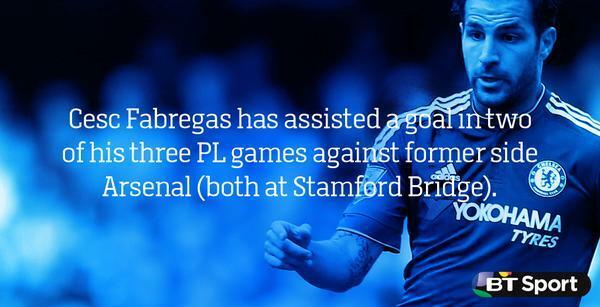 It will hurt even more to see Fabregas have a role in the goal. 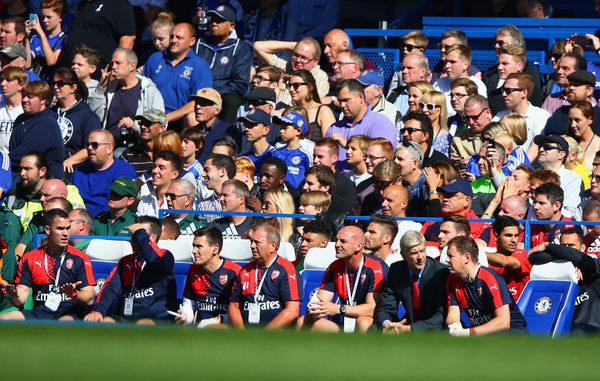 How can Arsenal let Kurt Zouma - the biggest geezer in the whole of London - be unmarked at the back post? #SCFC XI v @LCFC: Butland; Johnson, Cameron, Wilson, Pieters; v.Ginkel, Whelan; Shaqiri, Bojan, Arnautovic; Walters. 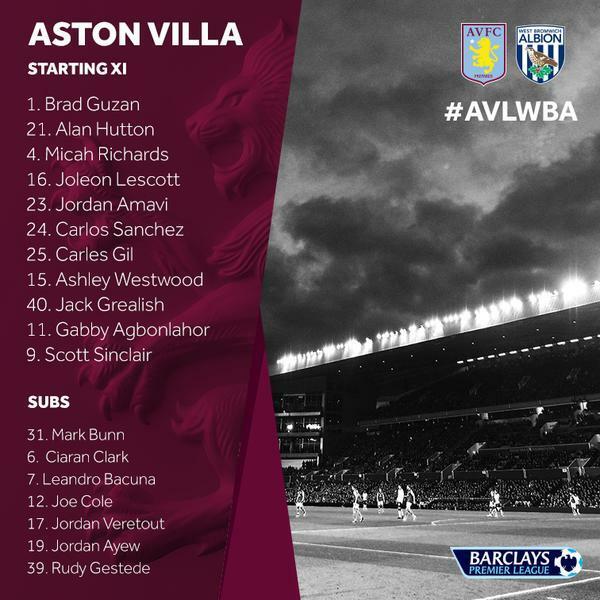 #SAFC XI v Bournemouth: Pantilimon, Jones, van Aanholt, Kaboul, Coates, M’Vila, Gomez, Toivonen, Lens, Borini, Defoe. 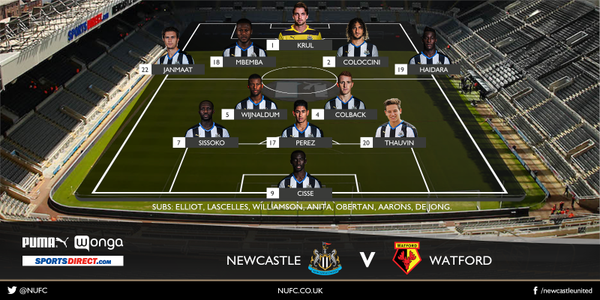 #watfordfc line-up v @NUFC: Gomes (GK); Nyom, Cathcart, Prödl, Anya; Capoue, Watson; Abdi, Deeney (c), Jurado; Ighalo. 64 mins - Chelsea 1 Arsenal 0: Chelsea are threatening to run away with this now but Arsenal remain a threat on the counter-attack. Kurt Kouma and Gary Cahill offered Alexis Sanchez with the perfect opportunity to level the scores but the Chile international couldn't get the ball down, as it bobbled, in time. 66 mins - Chelsea 1 Arsenal 0: Oscar slides past Nacho Monreal down the left wing but but his drag back isn't met by the onrushing Diego Costa. This Chelsea pressure is becoming relentless. 73 mins - Chelsea 1 Arsenal 0: Diego Costa goes down, seemingly hauled to the deck by Hector Bellerin, but Mike Dean refuses to budge. If that is not a penalty then surely it's a dive and Costa should be given a second booking? The Spain international survives. RED CARD - SANTI CAZORLA, ARSENAL. 78 mins: Mike Dean has no option but to send Santi Cazorla off as the Arsenal man slides into a rash challenge on Cesc Fabregas but catches the man. Already on a caution, it was a foolish tackle rather than a malicious one but he has to go. Wonder if there'll be a handshake at the end of the game?